Okay, well, maybe that’s just a tad bit of an exaggeration. 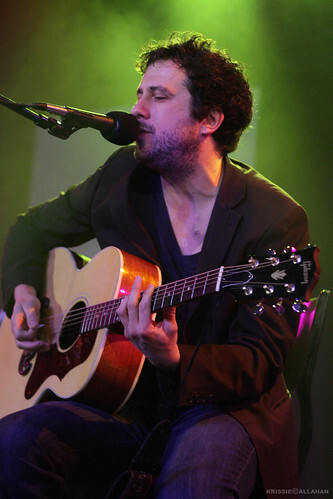 But if you know me, you know that Will Hoge‘s music is a cornerstone of my musical world. So I’m just a wee bit excited about his new album, Number Seven, coming out in September. American Songwriter got the exclusive play/interview of the first single from the album, “When I Get My Wings.” Encourage you to read the story behind the story on the AS site and check out the tune on SoundCloud. New Will Hoge music makes my heart happy. Given that I will be 37 this year, and the album is lucky #7, I think the chances are good that I will cross my #70 Will Hoge show by the end of the year. I’ve already got #61, #62, #63 & #64 lined up. Bring it on, Mr. Hoge, bring it on. This entry was posted in Indies, Up n' comers & Unknowns, Music and tagged concert junkie, Number Seven, Will Hoge by Krissie. Bookmark the permalink.